A$AP Rocky and Skepta continued to strengthen ties between the former's A$AP Mob and the latter's Boy Better Know crew with "Praise the Lord (Da Shine)," and the Testing cut has now been given the music video treatment. Some split-screen action features the two collaborators putting on for New York and London, eventually getting together at a handful of points in the clip. 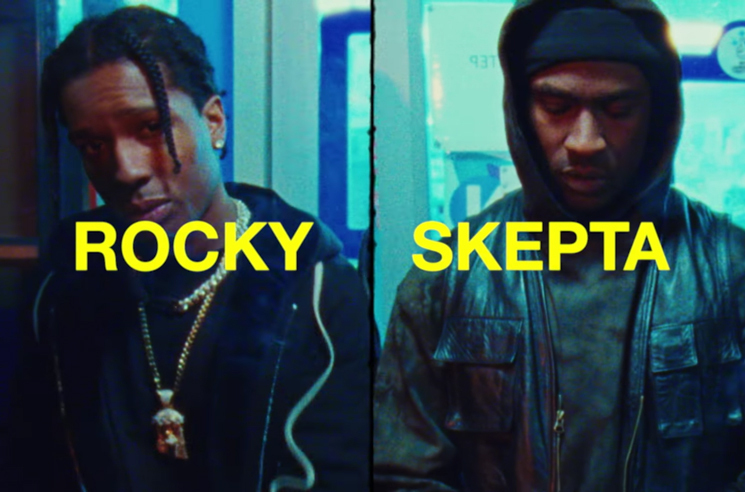 Before their collaboration on Testing, Rocky had appeared on Skepta's Vicious EP alongside A$AP Nast on "Ghost Ride." Skepta also teamed up with the Mob's A$AP Bari on "It Ain't Safe," which appeared on his Mercury Prize-winning album Konnichiwa.